Let’s briefly, talk about each of the fifteen mantras of the Srisukta. Oh..! The all-knowing Jatavedasa, invoke in me Lakshmi the symbol of wealth , of enchanting form, of golden lustre, splendorous like gold, adorned with brilliant ornaments of gold and silver ; and, beautiful like the female deer that shines like moon. 1.1. 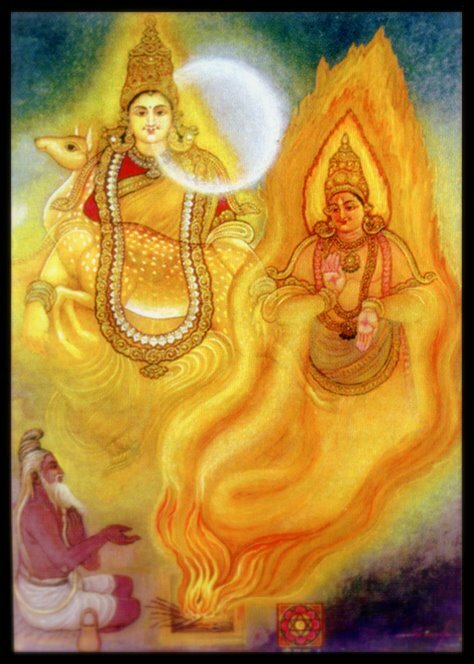 The opening mantra of Srisukta is a prayer submitted, primarily, to Agni addressed as the all-knowing Jatavedasa, who is the source of all knowledge (Veda); and, is the very personification of Yajna-purusha Vishnu (yajño vai viṣṇuḥ). Agni is requested to bestow all those signs (Lakshana, Lakshmi) of happiness, wealth and prosperity that a person desires. 1.2. Lakshmi represents the sense of beauty, grace, wealth and happiness that is manifest in all existence. Lakshmi is the very embodiment of all the auspicious virtues that inspire life. Lakshmi is also understood as the one who ignites the desire for knowledge that inspires us to attain the highest state in human life. 1.3. Lakshmi’s association with gold that shines, signifies purity (pavitram vai hiranyam) and brilliance. The deer stands for enchanting allure; the fleeting desire that draws one out in its pursuit. Just as it is not easy to chase and catch an eluding deer that runs away fast, it is also hard to attain and hold on to success, wealth and fame that are ever transitory. Sri is thus Harini the deer that sparkles. And Harini is also the sheen of turmeric (haridra-bha); the sign of auspiciousness and a remedy against infections. 2.1. 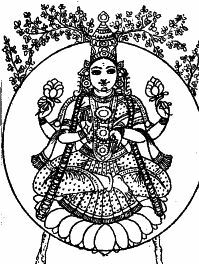 In Tantra, Sri , revered as Devi, is Matruka , the Mother (matrka-mayi), the Supreme Mother Goddess (devim mataram sriyam), She is also the power of sound (Matrika Shakti) , the matrix of the cosmos manifest as the alphabets. The phrase ‘suvarna-rajata-srajaam’ is also understood to mean that Sri is adorned with Matrika Mala, the garland of letters/alphabets woven with vowels (suvarna) and consonants (rajata). 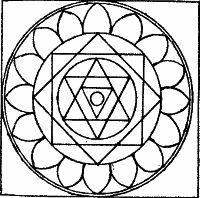 Sri is thus mantra-mayi the origin and essence of all mantras. 3.1. Chandraam, the aspect of moon, denotes mellow glow that spreads happiness (aahlada). Sri is Chandra, bright (Chandrah chandate) and beautiful as the moon that delights the hearts of all (sakala jana-ahlada–karini). 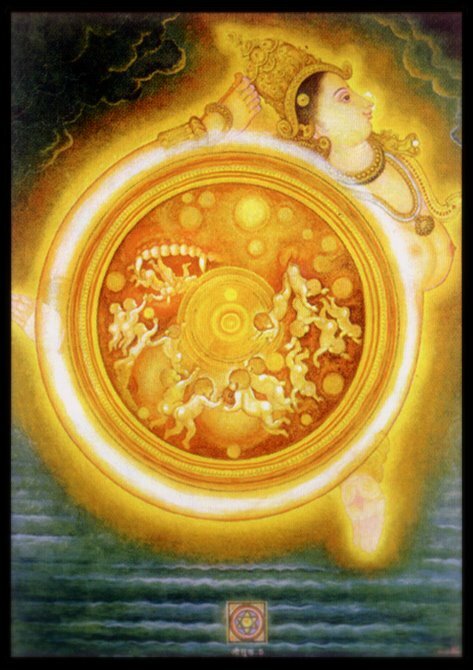 Further, in the Srividya tradition, the worship of the Devi follows the phases of the moon in a fortnight. Her Vidya is therefore termed as Chandra-vidya or Chandra-kala-vidya. 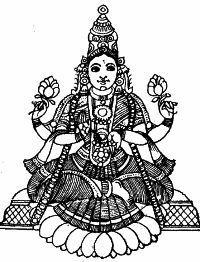 And, the Devi is worshipped through her pancha-dashi-mantra, the mantra of fifteen syllables. 4.1. Sri , when personified as goddess, is described as radiant ; shining like gold; decorated with splendid ornaments; wearing a brilliant crown; seated on a magnificent lotus-throne studded with gems; holding freshly blossomed beautiful lotus flowers; and, served by a pair of elephants pouring over her golden pots of nectar. The Dhyana–sloka of the first mantra describes Gaja-lakshmi. Oh..! Jatavedasa, please cause Lakshmi to come to me. And, let Lakshmi never ever depart from me. While she is here, I shall gain wealth, riches such as gold, cows, horses and man-power (which term includes friends, family and the other dearer ones). 5.2. 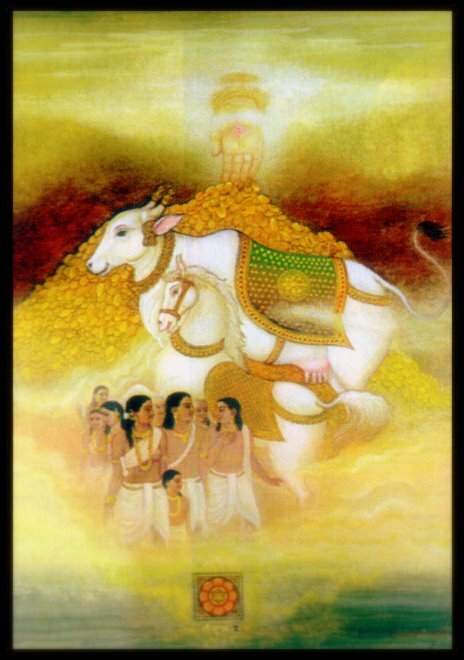 The gold mentioned in the verse represents immovable wealth (sthavara), while the cattle, horses and men are movable assets (jangama). As Lakshmi enters into one’s life, she brings along with her various kinds of wealth and riches. 6.1. 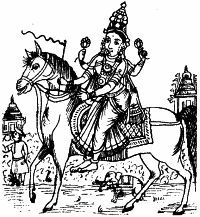 The Dhyana-sloka of the second mantra adores Rajya-lakshmi, riding a horse and leading an army of four divisions (Chaturanga: infantry, cavalry, elephants and chariots). The golden-hued Rajya-lakshmi grants riches of corn, wealth and happiness. The horses in the lead, the chariots in the middle, followed by the trumpeting elephants, herald the arrival of Sri. I pray to you Jatavedasa, let that magnificent Sri Grace me and come to me. 7.1. In the first two mantras, the Sadhaka prays to Agni to cause Sri to come to him. This verse is an answer to his prayers. It heralds the arrival of the glorious Sri in all her grandeur and regal majesty. The procession of her mighty army of infantry, cavalry, elephants and chariots signifies her magnificence and splendour. As it draws closer, the devotee prays that the Grace of the Mother (mam) Sri may descend upon him (jushatam). 7.2. 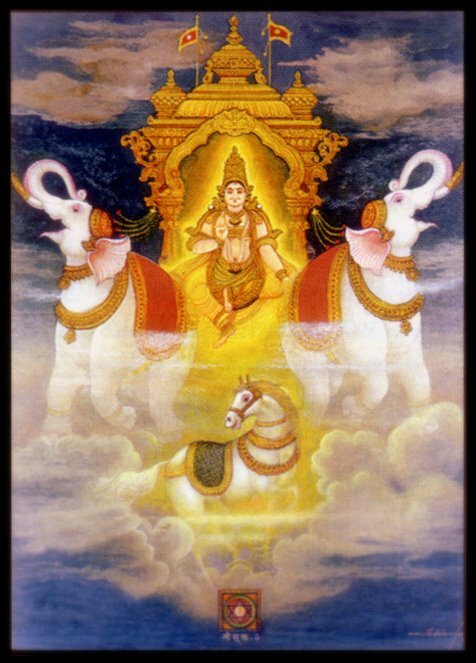 The esoteric meaning of the verse interprets the chariot as the body of the devotee (sareeram ratha-mevathu); at the heart of the Chariot is Sri , the centre of consciousness, as the presiding deity; and , the leaping horses are his senses that need to be controlled (indriyani hayan aahuh). 7.3. The phrase Sriyam-devi is explained as the most radiant (div) Sri Devi who is the refuge of all (shreyaniya) . 8.1. The Dhyana-sloka of the third verse is dedicated to the most auspicious Mother Goddess Soubhagya-lakshmi (saubhaagya-jananiim). I welcome the pleasantly smiling, the kind-hearted Sri who is of the nature of Brahman; glowing with a beatific smile , like burnished gold; of beautiful lotus-complexion; and, seated on lotus. She is easily pleased; and, she readily fulfills the desires of her devotees. The devotee is preparing to welcome Sri. 9.1. This mantra, again, refers to Sri’s association with gold (hiranya prákárám) and the lotus (Padme sthitám padma-varnám). Sri is explained as the bright and joyful consciousness that resides in the heart-lotus (hrudaya-kamala) of all beings. 9.2. As said, Lakshmi’s association with gold that shines signifies her purity (pavitram vai hiranyam) and her brilliance. 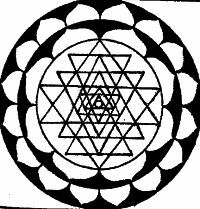 And, Padma, the lotus, is the primary symbol of Sri. The Padma symbolizes several adorable virtues: purity, beauty, the very essence of life, spiritual power, fertility and growth. 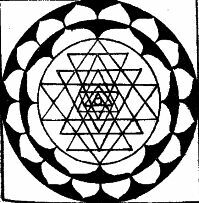 The Tantra regards lotus as a symbol of created universe. And, Sri is all of those auspicious signs (lakshana). Sri is Padmini (a variant of padmanemi, meaning holding a lotus) and pushkarini (pushkara meaning lotus). Lotus, again, is her seat (padma-sthitha). And, her complexion glows like that of lotus (padma-varna). 10.1. The opening term Kam is of special interest here. The commentators explain that the syllabus Ka indicates the form-less Brahman (ka iti Brahmano naama). Kam is meant to suggest that Sri is indeed the principle (tattva) that is beyond intellect (vangmanaso agochara) ; and , is at the root of all existence. 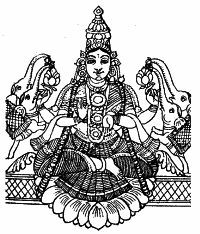 Ka is also the first letter in the fifteen-lettered (pancha-dashi) mantra of the Devi in the Kadi-matha (Kadi School) of the Sri Vidya tradition. Ka is an important syllable in the mantra; for, it appears three times. 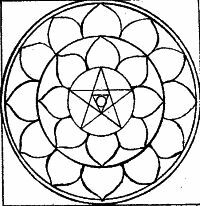 Here, Ka variously stands the principle from which everything arises; for illumination (Kan dipatu) or the principle of consciousness (buddhi) in beings; and, also for the symbol of Self. The fifteen lettered (panch-dasha-akshari) mantra is considered the verbal form of the Devi. But, it is implicit or hidden. It is only when the sixteenth syllable ‘Shrim’ is included; the mantra becomes explicit or becomes visible. Shrim is regarded the original or the own form of the Mother Goddess. And, with the sixteenth syllable (Shrim) the She comes to be celebrated as Sri-vidya. And, the mantra itself becomes the body of the Mother Goddess. She manifests the un-manifest. She is Prakrti. The auspicious Sri (Shrim) is thus revered as Saguna Brahman, the sa-kara approach to the absolute principle of the Devi. 10.2. The other point of interest is the use of the term ardra (which ordinarily is translated as wet or moist) immediately followed by jwalantim (which conveys a sense of blazing and sparkling like the tongues of fire). Apparently, the two are of opposite nature. It is explained that ardra, here, indicates the flowing grace; the easily-moved, kind and considerate nature of Sri Devi , who is the very embodiment of compassion (as portrayed in Sri Vedanta Deshika’s Daya-shataka). 10.3. The term jwalantim is, again, indicative of the radiant nature of Sri who resides as the inner light (jyothi swarupam) at the core of the consciousness of all beings (mula-prakrti). Sri Devi is the inner energy of all that glows and sparkles (tasya bhasa sarva idam vibhati). It is also explained; it is the spontaneous flow of the graceful Devi’s compassion (ardra) that enlightens (jwalantim) the consciousness of the devotees. The boundless love that envelops all existence and the all-inspiring radiance that enlivens the created world are the nature of Sri Devi. 11.1. The Dhyana-sloka of this mantra describes Sri as the bright and beautiful goddess of golden complexion; her face aglow with tender smile; seated on a lotus; and holding a book and a parrot that speaks. This sloka is also taken as an invocation to Sarasvati the goddess of speech (vac–rupa-sri) and learning (vidya-rupa-sri). Therefore, sarasvata-siddhi (the attainment of true knowledge) is also one of the viniyoga of the fourth verse of Srisukta. I submit to the mercy of Lakshmi , who is beautiful as the mellow glow of the moon; who is surrounded by lotus flowers; who is generous and kind; who is adored by gods; and whose renown lights up all the worlds. I seek refuge in that resplendent Sri. May she destroy all my misfortunes. 12.1. This verse re-calls Sri’s association with the moon, as referred to in the first verse. Sri is of the nature of moon that spreads happiness (aahlada), brightness (prabhasam); of beauty (Chandrah chandate), and of delight that lights up hearts of all (sakala-jana-ahlada–karini). 12.2. 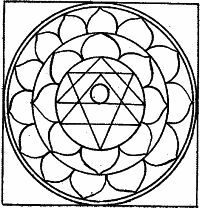 The mantra further glorifies Sri as one who sustains and supports all life in the nature (Shriyam loke); fulfils the desire of all; and, is beloved by all beings, including the gods (deva justám). The generous (udárám) Sri is indeed the Mother (taam Padmanemim); and. is the refuge of all the worlds. 12.3. Sri’s association with lotus is again elaborate d in this verse. Lotus (Padma), as said, symbolizes life that is characterized by beauty, purity, grace and abundance. Sri is of the nature of Padma ; and, the whole existence is but the projection of Sri. 13.1. The devotee submits (sharanamaham prapadye) to Sri, praying for release from the blight of A-lakshmi (the opposite of Lakshmi; and, who stands for everything that Lakshmi is not). Though A-lakshmi is personified in the legends as Jyeshta the elder sister of Lakshmi, it essentially signifies the aspects of wretchedness, misery, ugliness and cruelty that disfigure life. Lakshmi, on the other hand, is everything that is auspicious, prosperous, beautiful and virtuous. 13.2. The prayer is to drive away the evil that has taken shelter in the hearts of men/women; and, to invite Lakshmi into the purity of one’s heart-lotus (amala-kamala–hrud-deshe). 14.1. The Dhyana-sloka of the verse is dedicated to Sri Lakshmi who is seated amidst the splendorous solar-orb, holding lotus and gesturing assurance. She is richly decorated with gorgeous dresses, sparkling ornaments and holding the most precious Chintamani jewel. She grants fulfilment of all desires; and destroys misfortunes. I pray to that Supreme Goddess. Oh Devi, you are splendorous like the rising sun. By the intense power of your penance (tapas), the wondrous medicinal plant Bilva was brought forth. Let the Bilva-fruits, ripened by the radiance of your austerities; eradicate the ailments caused by the inner and external impurities. 15.1. There are some mythological and other references in this verse. 15.2. To start with, Bilva (Aegle marmelos) or Baelis is the Indian wood apple tree. It is referred to in this verse as a Vanaspathi that belongs to Sri (vanaspatis tava vrikshó’ tha bilvah). In the Indian texts, Vanaspathi is described as a class of trees that bear fruit ; but, no blossoming or flowers (a-pushpah, phalavantah). The tree is also described as sada-phala (always bearing fruit), durarudha (difficult to climb) and trishikha or tridala (leaves having three points). 15.3. The Bilva fruit, skin, leaves and roots are said to be lively (sri-yukta), having great medicinal properties. Ayurveda recognizes Bilva fruit as an effective remedy for diarrhoea, dysentery, loss of appetite and abdominal pains. Its roots and leaves help in reducing fever. It is also said to be useful in removing mental imbalance (chitta-dosha-hara) and bodily problems (sarira-dosha-hara). The Bilva is thus a cure for both the internal and external ailments. 15.4. The Bilva tree is regarded sacred, for many other reasons also. It is associated with Shiva as also with Lakshmi. The worship with Bilva–leaves (Bilva-patra) is said to be greatly pleasing to Shiva, as it is very dear to Shiva (mahadevasya cha priyam). And, the Bilva tree is therefore called Shiva-druma, the tree of Shiva; and, its fruits are hailed as jnana-phala, the fruits of knowledge of Shiva. There is a faith that offering of a Bilva bestows merit as do ten million yagnas (kotikanyaa mahaadaanam eka bilvam shivaarpaNam ). 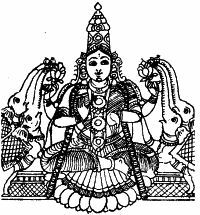 The Bilva vriksha is also associated with goddess Sri (Laxmyaa stnam unpanam ). 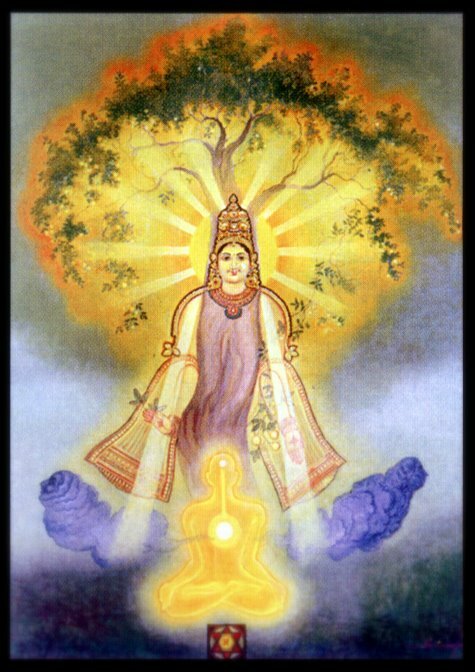 Bilva is the tree of Lakshmi. Tantra regards Bilva vriksha as the form of Lakshmi (Lakshmi swarupa); and, its fruit as Sri-phala, the fruit of Sri. 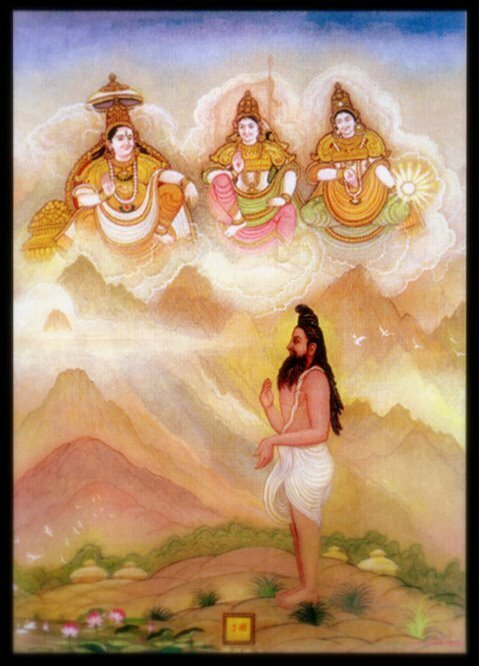 According to a narration in Kalika Purana, Sri performed penance amidst the Bilva trees; and, because of her grace (anugraha) the Bilva fruits acquired unique medicinal properties. There is the faith that Lakshmi resides in Bilva tree; and, the worship with Bilva-leaves is dearer to her, and hence to Vishnu.The Laksmi Tantra (Pancaratra Agama) mentions that Vishnu temple should preferably be surrounded by Bilva grove. [Interestingly, during the time of Sri Ramanuja, the practice of worshiping Sri Venkateswara at Tirumala with Bilva leaves came under question. It is said; Sri Ramanuja defended the practice by quoting the sixth verse of Srisukta; and asserted that whatever was dear to Lakshmi was also dear to Vishnu. 16.1. 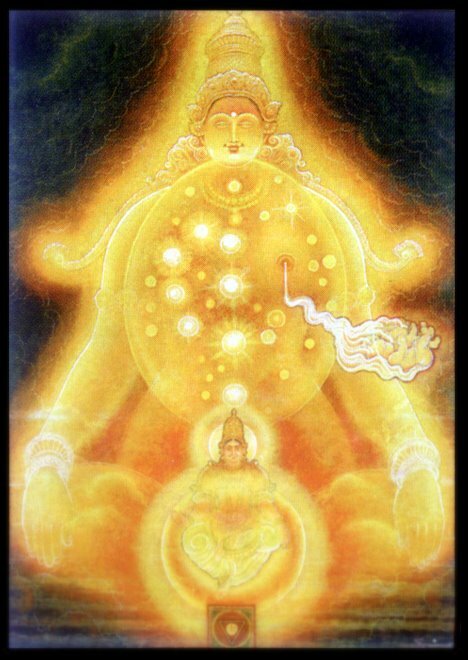 The mantra prays to Sri , radiant like the rising sun (taruna-arunava daruna varne) for cleansing of inner and external impurities (mayántaráyás cha báhya alakshmíh). The term A-lakshmi here, refers to ignorance ; and , to depravity in ones thinking and in ones conduct. 17 .1. The Dhyana-sloka of this verse is dedicated to the Devi, radiant as the rising sun, residing amidst Bilva grove, and rescuing the devotees from ignorance, disease and misfortunes. I am born in this state (Rajya). Let the friend of gods along with the fame, fortune, and precious gems come near to me. Grant me renown (distinction) and prosperity. 18.1. The verse prays to Lakshmi for riches, fame and prosperity; as also friendship with the highly affluent. 18.2. The term Deva-sakha meaning the friend of gods is interpreted by scholars as referring to Kubera, the Yaksha regent (Dikpala) of the North; and , the Lord of all the treasures in the world. That is because; Kubera is often described, in the Puranas, as the friend of Shiva, who conferred on Kubera the privilege to grant riches to his devotees – (devashabdo Mahadeve rudhah kuberah tryambaka sakhah). 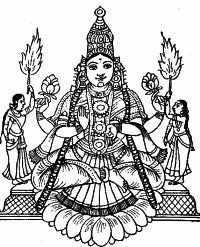 Lakshmi the goddess of wealth; and, Kubera the custodian of treasures are often worshiped together. 18.3. The term Mani is interpreted in two ways. 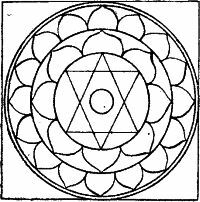 One; Mani is understood as a jewel used as an amulet to guard against evils of all kinds. It, perhaps, was strung on a sutra, thread (say as in, sutre manigana iva) and worn around the neck. Its other meaning refers to Manibhadra, a Yaksha; and, a friend of Kubera , guarding his treasures. Since the verse prays for the friend- of -gods (Kubera) along with Kirti and Mani, some scholars are inclined to accept it as a reference to Manibhadra, the friend of Kubera. 18.4. Similarly, Kirti is understood as fame; as also as the name of one of the daughters of Daksha-prajapathi. Kirti is a member of Lakshmi’s entourage (Parivara). It is by her grace that one performs deeds that earn fame and fortune. 19.1.The Dhyana-sloka of the mantra prays to Manimalini, who is dear to gods; who is also Rajarajeshwari and Lakshmi; and who grants fame, wealth and other desires. Manimalini is one of the many names of the Devi. Athi sundar!! Very very well explained. Thank you so much for such a detailed and beautiful explanation!! Only now I understood the exact meaning/interpretation of Sri Suktam!!! I chanced to see this on a Friday and am very thrilled about it. Dear Meenakshi , You are most welcome. Please do read the other posts as well. Saadhu, Sadhu…..! Great, Sincere and very Coherent Translation and interpretation….! May The Goddess Lakshmi be pleased on you, Your life be full of Ashta-Lakshmi and you in turn become more able to devout for such work, again and again…! Thanks !! Dear Mayank, I am glad you read this. Thank you fr the appreciation; and , for the wishes. Please do read the other articles too; and, let me know. Hello Mr.Sreenivasa Rao……can you please give exact meaning for “Prádūr bhūtó’ smi” in last verse on this page. Thanks. 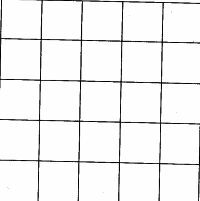 The pada-paata, the sequential reading is: Asmin Rastre; pradurbhutah asmi. I am born in this Kingdom or State. Let the friends of the gods (Deva-sakha) grant me fame, prosperity and fortune. The term Rastra is, variously, interpreted as Kingdom; State; and fraternity. It is also interpreted as ‘conditioned world’ – the Earth. I have confined to the commonly interpreted meaning of Rastra. Namaskaram. I am regularly reading your articles posted in your blog; very informative, interesting, useful and enlightening the ignorant. I can imagine how much of voracious reading of many scriptures, recalling those references from memory is required to write even a single page article. There are many hidden secrets in mantra sastra, agama, tantra sastra which can guide us to lead a peaceful, healthy life since human life is the rarest opportunity given to us by the Almighty. Hence I don’t wish to waste even an hour and well read scholars like you only can quench the spiritual thirst. I humbly request you to to enlighten us / help us to enrich our knowledge, wisdom about SRI ASHTA MUKHA GANDABERUNDA NARASIMHA [SAMGN] by posting your articles on this secretive form of Narasimha, which I believe is hidden in ATHARVA VEDA in mantra saram portion. Please post SAMGN avatara vaibhavam, prabhavam, his mantras, stothras and upasana padhdhati if any. There is a specific reason for requesting you; four years ago my health was affected due to tongue cancer and I underwent a major surgery for tongue cancer; tongue was removed and reconstruction of tongue was done by plastic surgery. While I was in the hospital, I was directed in my dream by Sri Lakshmi Narasimha to perform upasana on SAMGN and was blessed with regaining speech ability after 3 months, that too on a Swati star and Pradosham combined day. Now I am daily doing Narasimha Anushtup Mantra Japam. So far 46 Swati Homams were performed. Group of wellwishers joined together are seeking divine grace to establish a temple for SAMGN and we need SAMGN specific mantras, stothras for nithya puja, japam and homam. There is not even single inch of commercial motive but praying for divine guidance for materialisation of this maha bagyam. Hence my humble request to you. I have been offering KP system of astrology guidance for the past 30 years and vastu guidance for the past 12 years, both as absolutely FREE service. Similar to this by establishing a temple for SAMGN, thousands of people can be blessed with divine grace of SAMGN. Also I read from few sources that Pratyangira has 6 forms known as Brahmi Pratyangira, Narayani Pratyangira, Roudri Pratyangira, Atharvana Badrakali Pratyangira, Ugra Krtya Pratyangira and Maha Krtya Pratyangira. Is NARAYANI PRATYANGIRA related to worship of NARASIMHA in his female manifestation as NARASIMHI?. If personal meeting with your goodself is essential, I am very much willing to meet you in person. I am living in T.Nagar, Chennai and request you to email your full address, phone, email contact details so that I will fix up an appointment with you to seek your blessings, guidance and help. Thanks for everything you have written. Back after a long time. Want to read the agama series too. Long ago I asked about it. I dont know how much this little mind can understand and retain! Regards and best wishes for 2013. Dear Padma Raghavan, Thank you for digging out a forgotten pebble stuck deep within the Sulekha ‘Rivr’ bed. . Thank you also for your good-wishes. I wish you the same. As you noticed ; I visit Sulekha rather rarely , these days. Please read the other two parts of Sri Suktha. Please also read my posts on Sri Gayatri and the one one on Agama and Tantra. It is a pleasure to see you after a long time. Hi Sir, Can you please give the details about how many times we need to recite the Sri Suktham. Is it required everyday or only fridays are enough ? And the procedure also to do the pooja.. I have no definite idea about this.